Americans of all walks of life held their breath last year as Republicans tried over and over again to ram bills through Congress to repeal Obamacare. Health care policy is notoriously difficult to pass — and not without reason. Not only does it impact every single American, regardless of age, socioeconomic status or race, but health care spending accounts for 18 percent of our GDP — the second largest share of our national spending after Social Security. The Congressional Budget Office predicted in a July 2017 report that if Congress leaves current legislation unchanged, we will see an astronomical increase in the national deficit. But our approach to lowering health care costs doesn’t only need to focus on health care legislation. While we need to continue to work on national health care legislation, another viable — and cost-effective — focus is education. And there’s no better issue to attack through changes to the education system than obesity, one of the largest contributors to our healthcare spending. According to data from the CDC, 36.5 percent of American adults are obese. Pennsylvania ranks near the middle of the pack among the states, with a 30.3 percent rate for adults in 2016. Statistics for children are troubling as well with 10 percent of children under the age of five and more than 20 percent of teenagers obese. These high levels of obesity have a huge impact on general health. Obesity increases one’s risk for Type 2 diabetes and coronary heart disease, both conditions requiring expensive medical attention and contributing heavily to health care costs. Obesity-related treatments alone accounted for $147 billion, or 9 percent of all federal spending on health care, in 2008. The education system is one of the best places to fight obesity, and it comes through two channels: education about nutrition and accessibility of healthy food. Focusing on these two points can not only aid public health but also reduce spending. Eating healthy is the keystone to being healthy. A healthy diet is rich in fruit, vegetables and nuts, and avoids processed foods and refined grains. Nutritious choices, however, are often difficult to make because healthy foods have a much lower addictive potential than unhealthy, processed options. It’s also a particularly difficult choice for low-income people — sugary confectioneries and lower-quality, processed foods are cheap and keep people satiated, while nutrient-dense, healthier options cost significantly more. This is why it’s important to educate people from a young age about healthy food choices. Not only can this teach kids to reject unhealthy foods, but it can also teach them how to do so frugally. Researchers at Columbia University’s Tisch Food Center are striving to make this solution a reality. Researchers there found that investing in childhood education about nutrition is highly cost-effective, saving anywhere from $900 to $12,000 per year per child on obesity-related treatment in the long-term. Education about obesity-related issues is currently far from adequate. Roughly 35 to 50 hours per year of nutrition-based education is required for children to consistently make healthy decisions, but only about four hours per year are dedicated to children in elementary schools. Schools simply need to devote additional in-school time to health education. This is essential to allow for enough time to properly educate children about healthy choices. Education can also work toward giving individuals the financial know-how to afford to eat better. According to a 2013 press release from Harvard University’s School of Public Health, healthier diets can cost only $1.50 more per day than ones heavy in unhealthy food. Though this may still be too expensive for some, it still puts health within the reach of others. This investment in nutrition saves money in the long run by avoiding medical care costs. Beyond education about nutrition, children need to have access to affordable, nutritious foods in school. 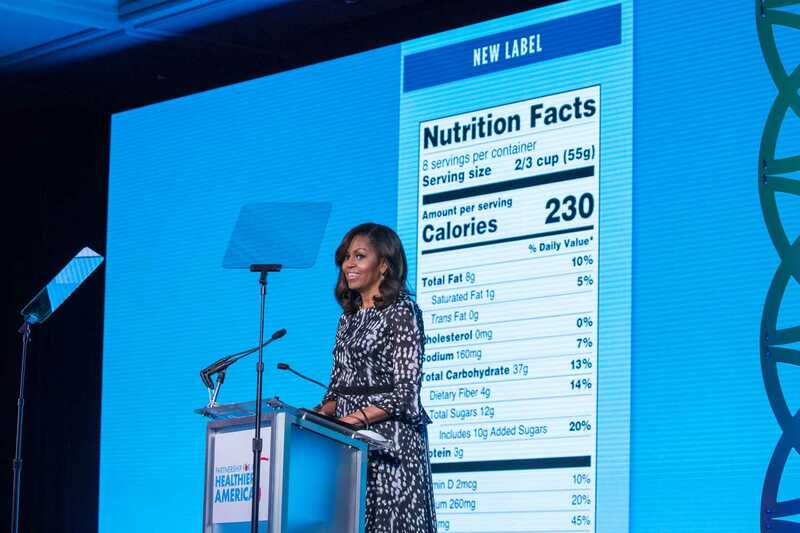 While school lunches have improved since most current college students were kids — largely thanks to former First Lady Michelle Obama’s initiative to pass the Healthy, Hunger-Free Kids Act — there’s still much improvement to be desired. In some ways, food policy for children has even moved backward recently. Congress is responsible for reauthorizing the Child Nutrition Act, an act that mandates certain foods be served in school breakfasts and lunches. Though this reauthorization process is supposed to happen every five years, it did not happen in 2015, and so the requirements for school lunches have been loosened. By mandating and funding healthy meals to schoolchildren of all ages, we would ensure that children are provided for while they build healthy habits for their futures. Simply improving upon these two things could drastically reduce the childhood obesity rate, improve public health and save billions of dollars in medical fees. Waiting for Congress to pass sensible laws that make progress on public health could take years — or even decades. But by simply working on improving our own diets today, the rest of us can help fix public health in the United States on our own.